Every month, the new dual-branded AC Hotel and Residence Inn Dallas by the Galleria features the story of a local entrepreneur in a series called Entrepreneur of the Month. The hotel has selected Frisco-based artist Ryan Ekmark of Recovered Calling as the entrepreneur of August. Ekmark has gravitated toward complex, three-dimensional artwork since high school. 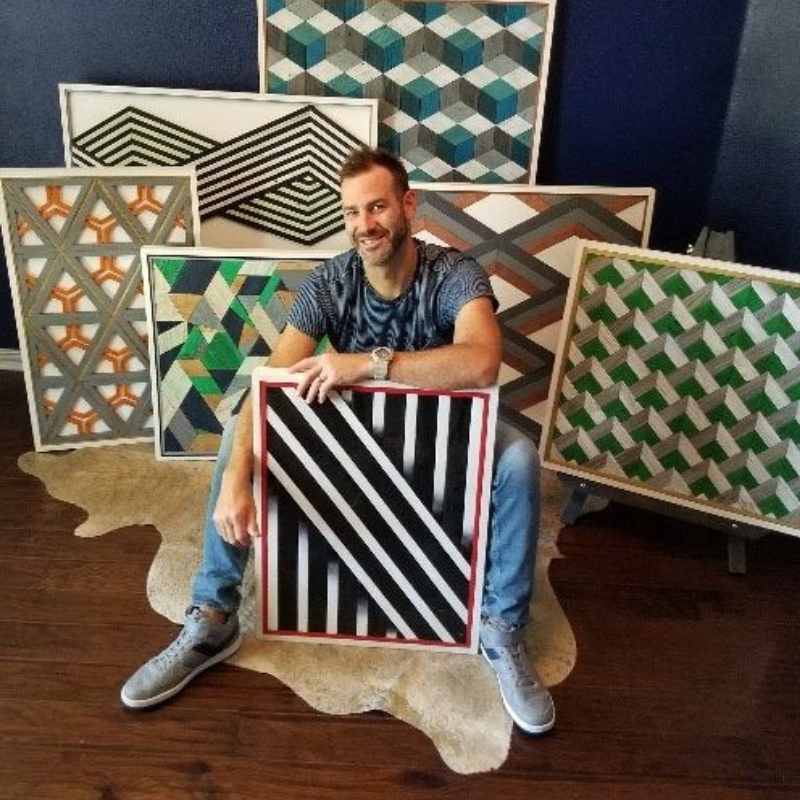 His unique style of art transforms reclaimed lumber into custom geometric wood art that creates a kaleidoscope of patterns and colors. His work will be celebrated at an art reception at the hotel on August 21 from 6 to 8 p.m. Hotel guests and art fans from all over North Texas are welcome to attend the event, meet the artist and browse his art collection. This reception is free and open to the public and all ages. Craft cocktails, such as the hotel’s signature Maple Bacon Smash, and food from the European-inspired menu will be available for purchase. The hotel is located at 5460 James Temple Drive, Dallas, Texas 75240.